Culinary Agents is a career website that offers professional networking and job matching in the food, beverage, and hospitality industry. The job search experience is excellent. It is very visual and easy to navigate. Users can search by location, business type (restaurant, hotel, etc), categories (dining, wine/beverage, etc. ), and even by award-winning restaurants. The site matches jobs to job seekers based on profile information. It also offers innovative features such as messaging. For employers; in addition to posting jobs, the site offers other features such as employer branding, job distribution, and applicant tracking tools. Planted is a talent community / app that connects job seekers with non-technical roles within startups and high-growth companies. As there are many platforms for tech talent, Planted focuses on roles for those who are not coders, designers, or architects. The target audience is junior-level, but more seasoned professionals can also utilize the service. Once registered, Planted sends 'batches' of job opportunities based on the qualifications of the job seeker. Job seekers do need to submit a resume. For employers, in addition to the ability to filter and review candidates, Planted will send curated short lists of candidates based on preferences. Working Not Working is an innovative resource for connecting creative professionals with those in need of creative expertise. It is a curated community of vetted professionals in the areas of design, technology, advertising, and production. Creatives can broadcast their availability in real-time so matches are made more efficiently. Hiring members can search and filter to find just the right talent, and can build collaborative teams. The model is a change from traditional commission-based recruitment fees. The fees vary based on hiring needs. 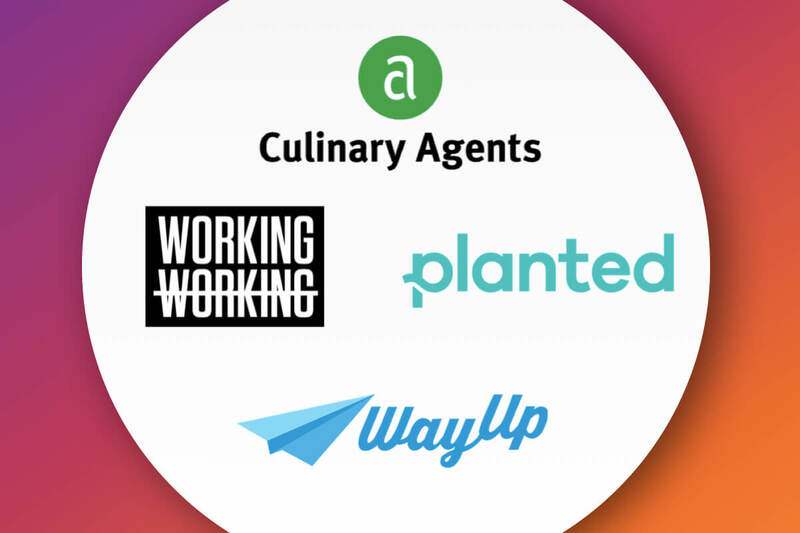 WayUp is a platform that allows students and recent graduates the opportunity to be discovered by top employers, search entry-level and internship opportunities, and receive career advice from industry experts. Users complete a profile which can help drive the most appropriate opportunities to be presented. The service is free for candidate. For employers, WayUp can be a good resource for engaging early-career candidates. There are multiple plan options based on feature sets and volume.